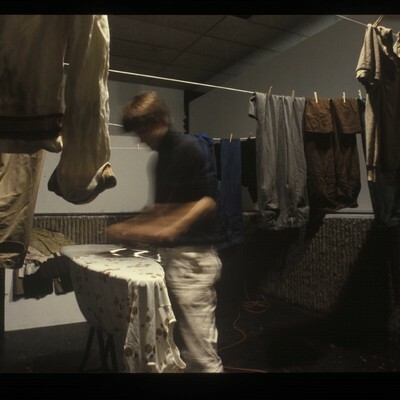 In the fall of 1989, during his first semester in the MFA program at Yale University, McCallum produced two projects that responded to the different needs of homeless people in New Haven. 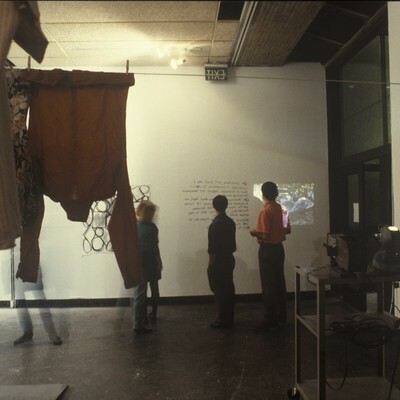 It was a continuation of his earlier interest in the potential action of sculpture that was stimulated at Virginia Commonwealth University during his BFA. 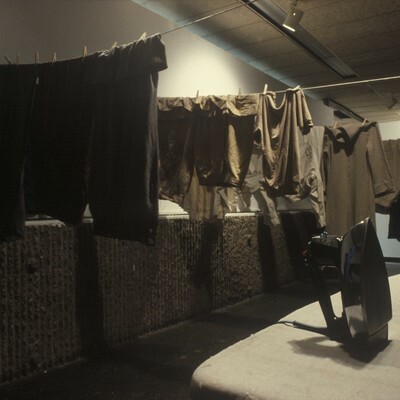 But at Yale he delved deeper into performative ways of approaching sculpture and civic space. Park Bench Shelter emerged from a conversation with Jackie Jones, a woman who lived in a local city park. 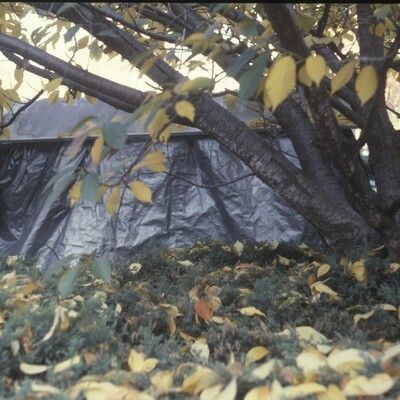 She expressed a desire for the city to provide shelter in public parks, such as, awnings over park benches. 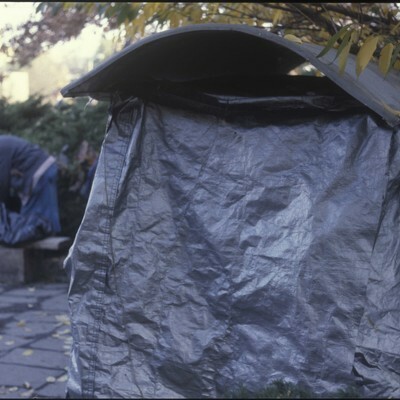 The artist worked with her to design, produce, and install a park bench shelter with an awning. 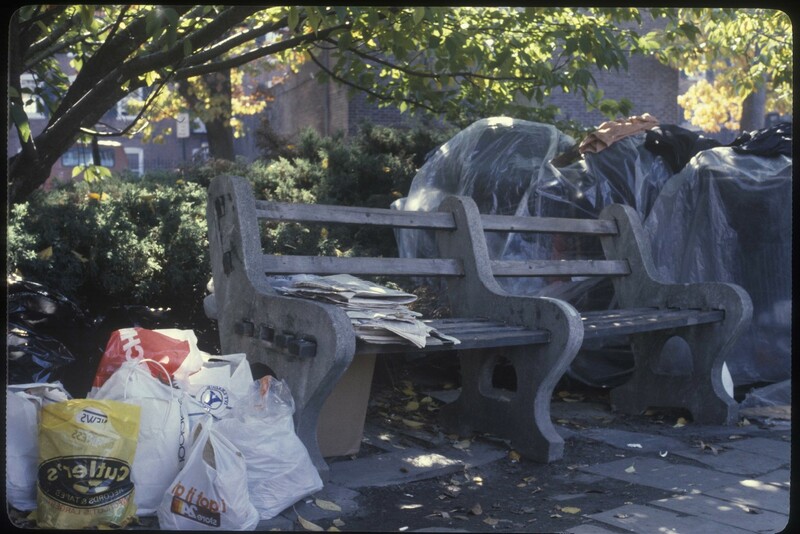 After one month, the New Haven Parks and Recreation Department removed the sculpture/shelter and her belongings (shopping carts full of clothing) when they began renovations to the park. 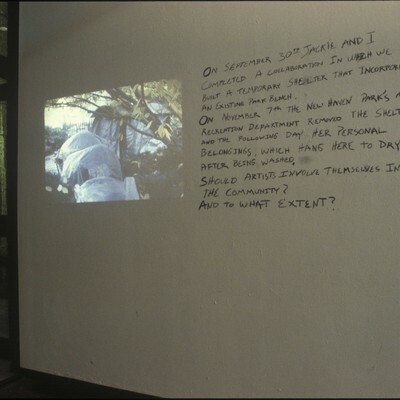 These projects arose from conversations between McCallum and homeless individuals in which he was struck by how people would often express a desire for public space that is sensitive to the realities and needs of homeless people.